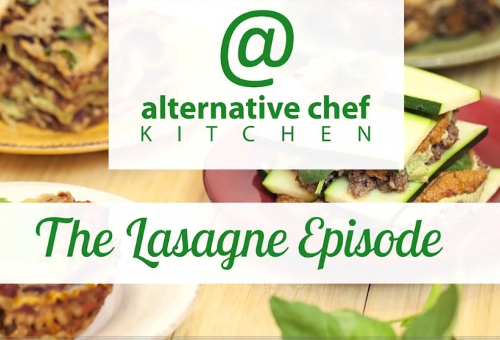 Alternative Chef Kitchen is an independently produced web-based home cooking show which aims to inspire and offer tasty solutions for people who are usually left out when it comes to cooking shows and parties - those who can't or don't eat dairy, soy, gluten, egg or meat. Each episode demonstrates four different ways of making a common recipe. All recipes are dairy and meat free, and additional alternatives including a gluten, soy and egg free option, a raw vegan and a whole food option.The show and it's resulting recipe book have been called "Clever" by Adelaide Food Blogger Amanda McInerney from Lamb's Ears & Honey, and "The bible when cooking for the food intolerant" By Bauer Media Group Style Magazine, Simply You. The cast includes, award-winning multi-published romance author, Anne Clark, naturopath, nutritionist and health writer Lisa White, nutritionist and vegan Hayley Richards from the raw cakery Raw Karma, critical care nurse, naturopath and nutritionist Glenys Falloon and naturopath and herbalist Karina Pike from Bodhi Cleanse. Created and produced by Lisa White and filmed in her home kitchen, the show offers a light hearted and down to earth approach with practical recipe ideas for people beginning their "cooking without" journey. 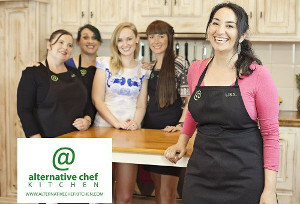 Lisa is the creator and producer of Alternative Chef Kitchen. She is a qualified naturopath with a background in medical research and a mother of two young children. She writes about maintaining health and is a guest nutritionist for Body Burn Online and has also been published in VIOLET Magazine for Women Entrepreneurs. She and her recipes have been featured in both local and international publications. She's passionate about helping people not feel isolated when they have a restricted diet, as well as helping them to understand nutrition and encouraging people to include more vegetables and whole foods into their day. She runs a clinic in Adelaide, South Australia where she helps people with food intolerances, plant based diets and natural fertility to optimise their health. She holds a Bachelor of Science degree with Honours and Advanced diplomas in Naturopathy, Nutrition and Herbal Medicine, she is a Trained Teacher in Natural Fertility Education and has completed a Certificate in Plant-Based Nutrition through the T Colin Campbell Foundation and eCornell. Lisa is a full member of The National Herbalists Association of Australia. The Alternative Chef Kitchen audience is comprised of people newly diagnosed with food intolerances particularly to dairy, gluten, soy and egg, people who have recently made a conscious choice to reduce the meat in their diet due to environmental concerns or concerns for animal welfare, people who are interested in learning more about cooking with whole and fresh foods. 2009 Lisa while pregnant with her daughter and watching MasterChef with her husband came up with the idea for a cooking show which taught people how to cook without foods they were intolerant to. Drawing on her scientific training she thought the show should have 4 people make the same recipe 4 different ways so that it was suitable for different dietary needs and should be called "Alternative Chef". 2010 Lisa's daughter was diagnosed with a dairy and soy allergy at 7 months - and Lisa began writing a recipe book with creamy alternatives to dairy and soy, and had many chats with Anne and Karina about cooking without dairy and how there should be a cooking show for people with food intolerances and one of the 4 "alternative chefs" should show a dairy and soy free option since the most common dairy alternative is soy and so it would cater for the people who can't have dairy and soy. 2011 Lisa's son was also dairy intolerant and Lisa began to see clients with various combinations of food intolerances in her clinic. 2012 Lisa continued with her creamy dairy and soy alternative cookbook. Lisa became friends with Hayley and Lisa enrolled in a raw food cooking class and also discovered that her endometriosis / menstrual pain was mitigated by avoiding meat and so she transitioned to a mostly plant-based diet. In yet another chat with Anne Lisa suggested one of the "alternative chefs" should show raw vegan options as a way to show people more exciting ways to include fresh veggies in their diet and also to introduce people to new techniques they could add to their everyday diet to increase their options. Anne suggested Lisa produce the show and so Lisa began to write out her ideas. Anne was cast as the dairy free "alternative chef", Lisa would demonstrate the gluten, dairy, soy and egg free alternatives and Karina would be the host. In mid 2012 Hayley was asked to be the raw vegan "alternative chef" due to her raw vegan cakery business and experience with raw vegan cooking. In late 2012 Lisa became friends with Glenys and Glenys was asked to be the whole foods "alternative chef" for the show. 2013 The first pilot episode (cheesecake) was filmed in January and the cast agreed to go ahead and film a pilot season. The second pilot episode (Lasagne) was filmed in April 2013 with a special guest appearance by Neale Daniher former AFL player and coach and three pilot episodes (Milk, Hot Drink and Cold Drinks) were filmed in July. 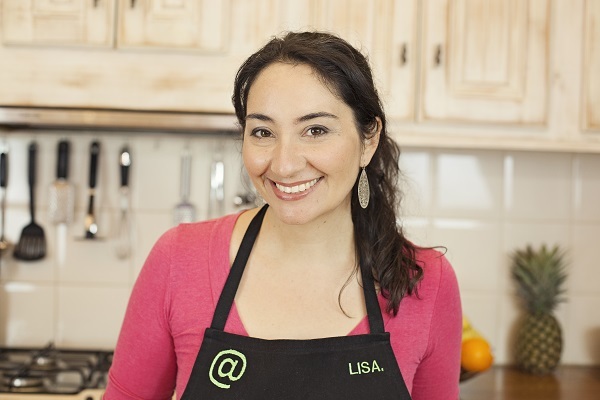 At the end of 2013 Lisa learned more about getting the word out about the show online and with feedback from her test audiences restructured the material so that it would have a chance to be seen by the people she and the cast really wanted to help (the people who were new to cooking without certain foods). 2014 Content for 30 episodes was filmed. 2015 Post production video editing commenced for the pilot season, book design was undertaken and the Pilot season with the Lasagne Episode as the first official episode was launched on March 23rd 2015 - during Meat Free Week Australia. *The majority of Hayley and Glenys' recipes are without soy and gluten however some recipes may contain some of these ingredients and this will always be clearly indicated in the recipe book. December 2015 Christmas Special Episode to be aired. 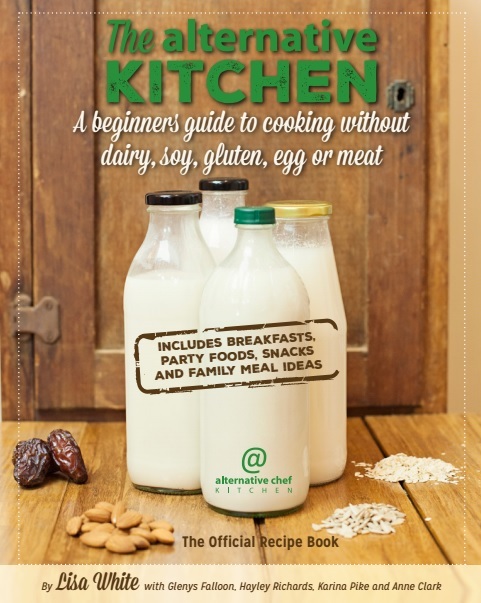 The Alternative Kitchen: A beginners guide to cooking without dairy, soy, gluten, egg or meat. The book has been reviewed in Australian Gluten Free Life Magazine, Simply You (Body & Beauty) Magazine, Girl Power Magazine, Happiness + Wellbeing (digital magazine), as well as features in UK based Free-From Heaven Magazine, The Advertiser's 11 City-wide Messengers in their Best-Recipes section and Foodie Blogs including Lambs' Ears & Honey and On The Chopping Board, For more details see our "As Seen In" page. ​Click on the images below to go to the download page. Alternative Chef Kitchen has received a lot of praise from nutrition professionals, environmental experts, and people with food intolerances. "In my practice I see a large number of individuals with food intolerances who often find it challenging to source alternative options to what they used to enjoy. To have a cooking show and recipe book that helps cater to these individuals is very exciting. They will be able to feel less alone and hopefully be able to absorb some passion and knowledge from these resources to increase their quality of life"
Stephanie is an Accredited Practicing Dietitian and Accredited Nutritionist. She is the director at Nutrition Strategies and holds both a Bachelor of Nutrition and Dietetics and an IOC Diploma in Sports Nutrition. "The world is crying out for a TV cookery show that caters for the millions of people globally who struggle with food intolerances. Lisa and her team have delivered a brilliant solution. Alternative Chef Kitchen is fun, practical and interesting and you'll learn that even if you have a food intolerance you can still enjoy mouthwatering meals. Lisa is a scientist by training and researches everything carefully, so you can have absolute confidence in the information she shares. At the same time, as a busy mother, she understands that most of us struggle to find time to do everything perfectly and need shortcuts and a pragmatic approach. You'll love it." Jane is an expert in nutrition and cooking for health, holding a Master of Arts from Oxford, a Master of Science in crop protection and a PhD in agriculture. Jane has nearly 14 years experience in agribusiness. After discovering a passion for nutrition she has gained qualifications in dietary education and wholefood cookery. "As an environmental professional and climate change advocator I understand the importance of eating a primarily plant-based diet, for our own health and that of our world. I’m really excited about the resources that Alternative Chef Kitchen are creating to make it easier for everyday people, even those who do not suffer intolerances or allergies, to embrace more vegetables, pulses and legumes in their diets." Laura holds a Bachelor Engineering (Environmental) and Master of Science (Environmental Chemistry). She is both founder and director of Sustainababy, creator of greenHOUSE home energy blitz ecourse and creator of the Home Detox Boot Camp. "Being gluten intolerant and choosing not to eat meat and dairy can be a challenge when searching for new and delicious recipes that don't take all day to prepare. The 'Alternative Chef Kitchen' show is honestly the answer to my prayers! Lisa and her team offer amazing ideas, great advice and delicious nutritious recipes that I can use with my family and also my clients. I'm always trying to find ways to innovate our meal times and this show is a great tool to point us in the right direction. I'm in love with this show, you will be too!" Kelii is a certified fitness trainer and dance instructor, with many years of experience working in Los Angeles at celebrity based fitness companies. She is the founder of the online dance fitness studio for adults, Body Burn Online. "Finally there's a cooking show for people living with food intolerances, and not only that, the show is practical and fun with delicious recipes. I've been living with food intolerance all of my adult life, which has it's challenges; especially for my friends and family. They're always asking me, 'what can I cook you?' Now I can point them to the Alternative Chef Kitchen, where Lisa and her team will teach them how to make scrumptious meals for all. It's brilliant. If you're a busy working Mum, like me, with limited time to create nourishing food intolerance friendly meals, I know you'll love this show. Lisa and her team know what they're talking about, and the recipes are so easy to follow."